Title: The native Title field – holds the subject. To: Single line of text. Cc: Single line of text. 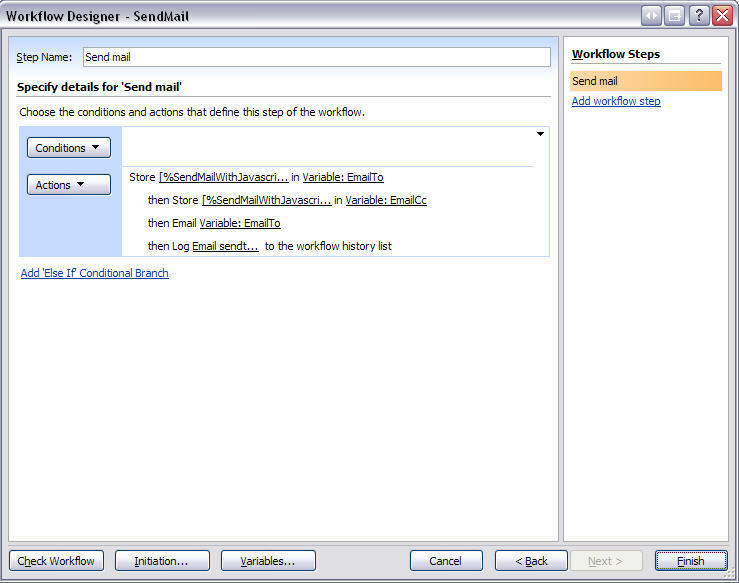 EmailBody: Multiple lines of plain text. You could skip the part with “Store …. in Variable” for “To” and “Cc” if you like, this step was originally used for pulling values from a multi select people picker. This field cannot be used in “To” or “Cc” without this procedure. The scripts “interaction.js” and “stringBuffer.js” are created by Erucy and published on CodePlex. 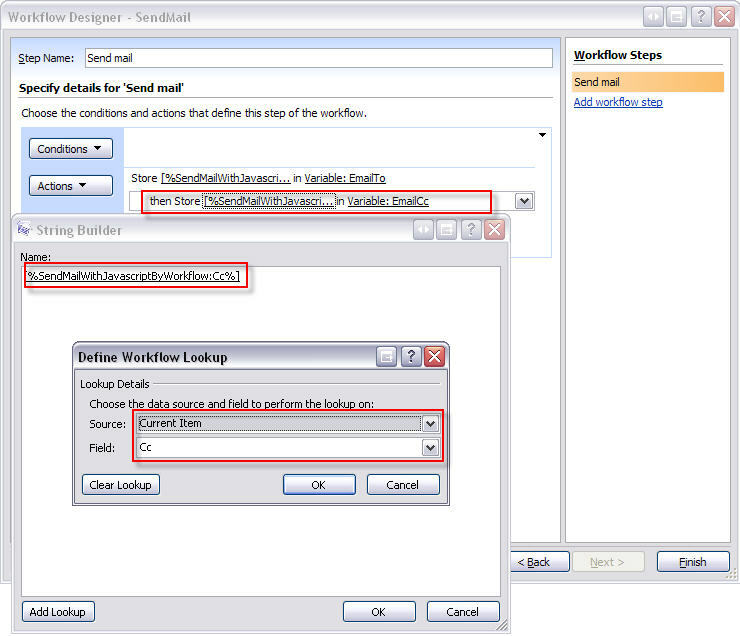 Read here how to add a CEWP to the NewForm or EditForm, how to find the list Guid of your list, and how to find the FieldInternalName of your columns. 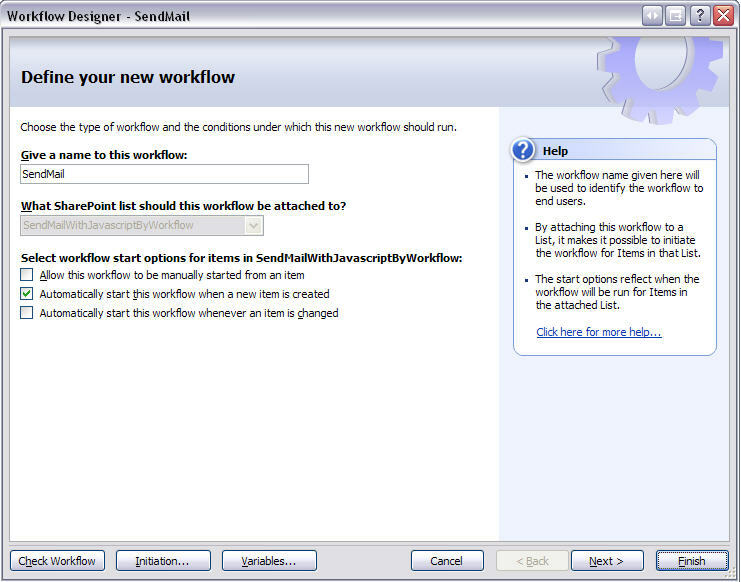 NOTE: Starting Workflows is not possible for anonymous users (may be possible using a third party fix). <td align="right" width="100%" nowrap><input type="button" value="Send test-mail"
What if I want to use a current list and send an email with all of the list information? You would have to use a script to iterate trough all the fields in the DispForm and build the HTML to use in the “Body” argument. thanks for this great Article Alex!! this may not be related, but when i was playing around with workflow email setup, I found out I couldnt use “multiple line of plain text” column as my lookup values for TO field in the email. I am pretty sure i was able to do this a couple of months ago as I had some workflows that actually looked up this type of columns for TO field. do u know anything about this?? 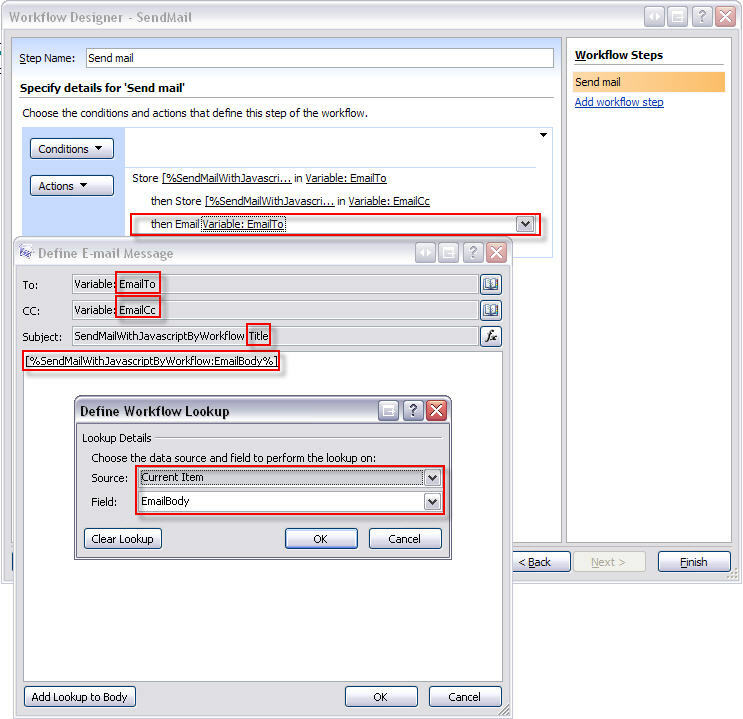 You must first add the multiline text content to a “dynamic variable” in the workflow, then use the variable in the “to” field. hi, great solution. My question: is the email sent from your default email application like Outlook and so the from address would be my email address? Hi, No, it is sent by the workflow using the server’s default outgoing email as set up in SharePoint Central Administration. Awesome, thanks a ton Alexander! This works like a charm! Any possibility of extending this to send an Lync instant message instead of an email? If you can send this type of message using a workflow you can do it, but i have no knowledge regarding “Lync instant messager” and cannot help you further. Is that possible to include attachment? 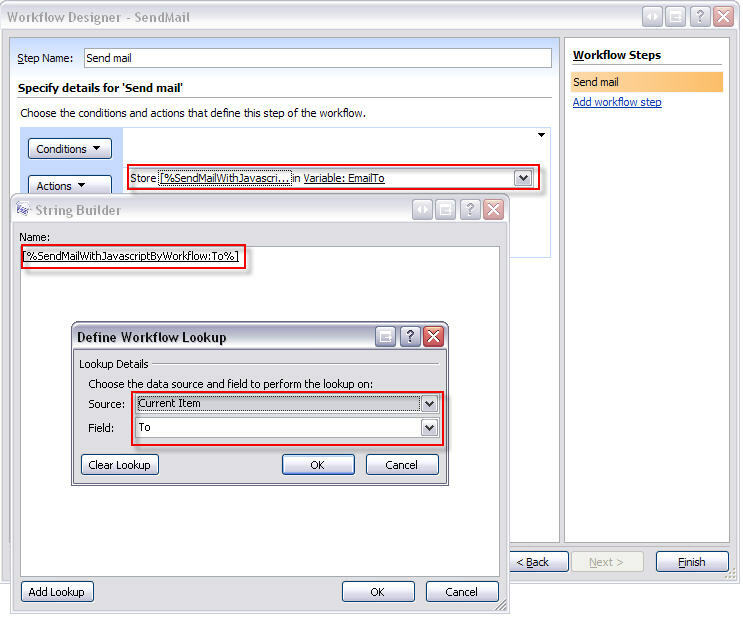 Sorry, but SharePoint cannot send attachments in a workflow email without a third party workflow action. Good day sir. I have been searching for a solution that will do the following. Basically, I have a field in sharepoint that holds email addresses. I need to send the people in that field an email. So basically, mailto:everyone in this field. do you have something that does that I can do client side?